Learn to manage arthritis pain with quality educational information, communication resources, and webinars from our members and trusted organizations. Learn basic information about OA including its causes, symptoms, and treatment. Behaviors such as exercise and weight management can make a significant positive impact on symptoms of OA and how OA impacts life. more about the Self-Directed Walk With Ease program and other resources to support walking with OA. 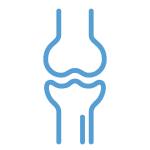 People who have experienced a significant knee injury are significantly more likely to experience OA later in life. Additionally, people with OA experience 30% more falls and a 20% greater risk of fracture than those without OA. Arthritis Today Magazine – subscribe! Tools & Resources – Arthritis Resource Finder, Your Exercise Solution, Better Living Toolkit and more! Living with Arthritis – Treatment Options, Arthritis Diet, Exercise and more! Agrability: Resources for Living with Arthritis for Agricultural Workers – Partnering with the Arthritis Foundation – Indiana Chapter, the National AgrAbility Project has developed a variety of resources geared toward agricultural workers and other rural residents. Hospital for Special Surgery: On-Demand Webinars – watch webinars on a variety of health topics such as Osteoarthritis Management, Pain & Stress Management, and more. Join this online community for a safe and anonymous place to share experiences and connect with others. Set up as a social network, you can interact and talk directly to people with the same condition as you.